General dentistry is the foundation of a healthy smile and should be an important part of your dental care routine. At Premier Family Dental, we provide general family dentistry services to ensure that you and your entire family have healthy, beautiful smiles. 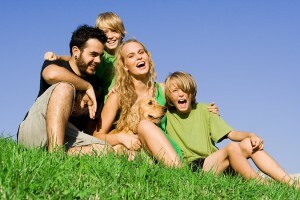 Your regular dental checkup is an important part of general family dentistry. It is important to visit us twice a year so we can clean your teeth and make sure everything’s looking good with your smile. We’ll remove plaque and tartar as well as inspect your teeth for signs of decay, cavities, or gum disease. Children’s dentistry is also an important part of our practice. We’ll make sure your child’s teeth stay healthy as they grow and develop, as well as teaching you and your child to care for their teeth. General family dentistry is here to help ensure you have healthy smiles both now and in the future. General family dentistry encompasses more than just your dental checkup. It covers everything necessary to ensure the health of your smile: cleaning, instructional care, preventative care, and more. Give us a call today to schedule your appointment and see for yourself how general family dentistry care can enhance your smile. by: Dr. Rick Cofer at July 1, 2013 .